Edit on July 31st: Added some more skills and the kanji for the elements (which is useful when you’re looking at the skill descriptions. ^^). I also forgot to write about the vocabulary at the end of the descriptions which influence how often the special ability piece will appear on the board so they’ve been included too. 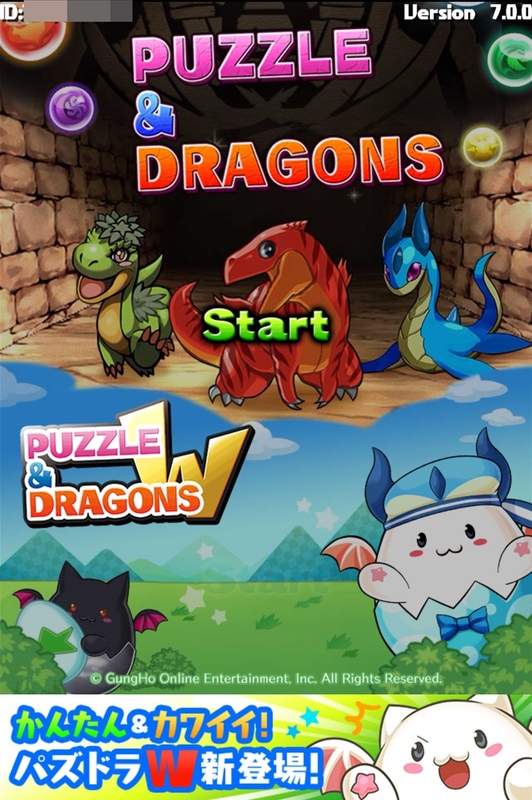 Puzzle & Dragons W is a cutesy version of the main P&D game featuring the ever-adorable tamadras (or egg dragons) and pretty much plays exactly the same way as its companion game. 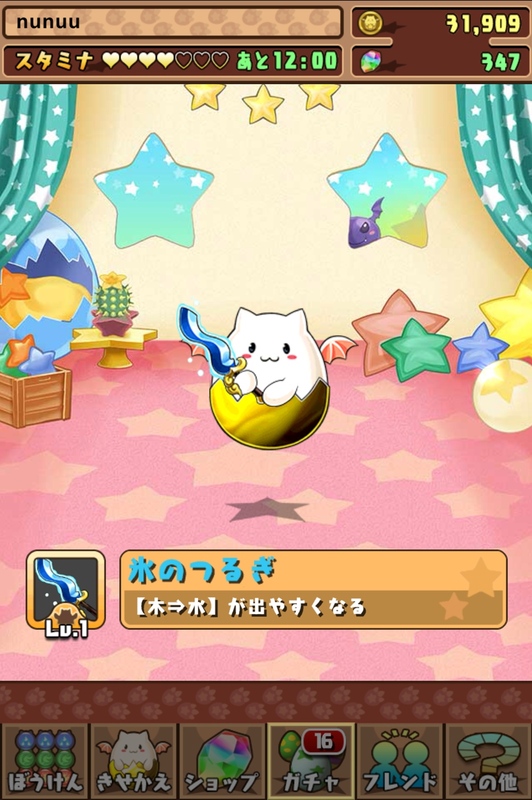 The main gameplay difference is that each stage has an objective that must be met, along with combo strings, in order to defeat the devil tamadras that hold tamadra eggs hostage. 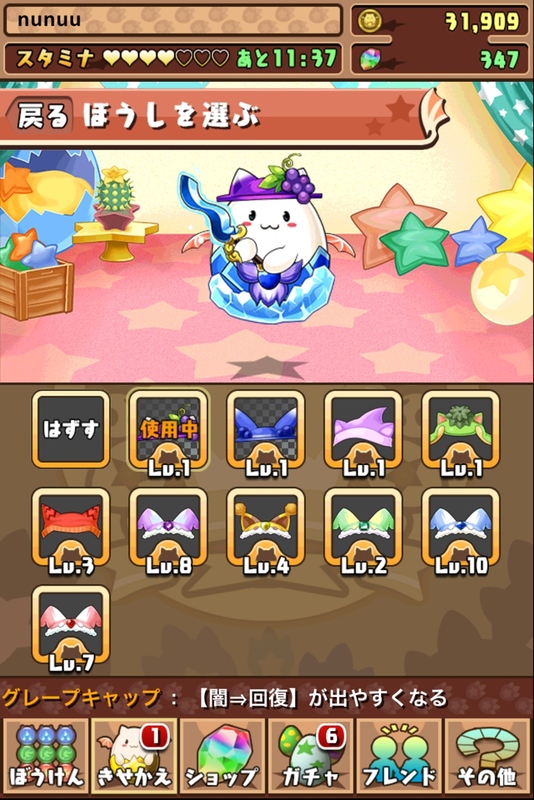 One thing that’s unique to P&DW is the dress up system which allows you to customize your tamadra with various hats, items/toys, and egg shells! ^o^~ There are ample opportunities to gain new looks for your little avatar since the very eggs the enemies hold always contain either a piece of clothing or equipment. There are also the usual gacha lottery draws too~! As this P&D update has yet to hit the English version, playing Puzzle & Dragons W may prove to be a challenge for anyone illiterate to Japanese. Although I’m not fluent in the language, I know enough to understand what needs to be done and what the equipment skills do so I decided to whip up this mini guide! 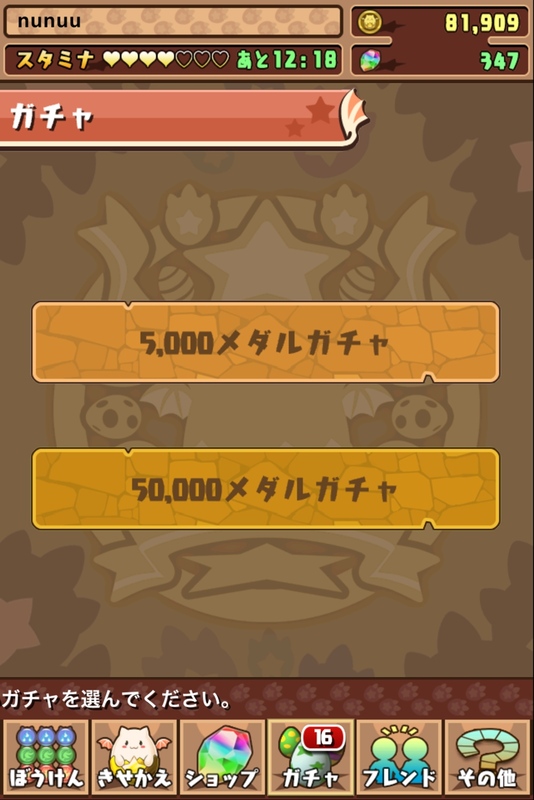 Stage objectives are listed on the main screen. The first 3 simply task players to include fire, water, and wood orbs respectively in their combos. The 4th one has the requirement of building 2 or more combos. Xを入れてコンボ — this means that a certain element must be included in your combos. Xコンボ以上 — put together a certain minimum number of combos. This first shows up at stage 4. XをX個以上繋げて — a line must have X-number or more of a particular element. 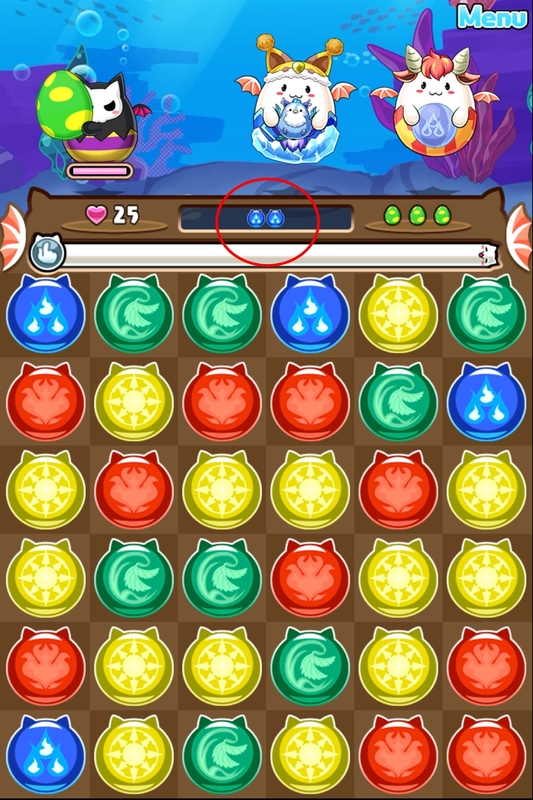 For example, all areas in stage 6 has the requirement of connecting 4 or more light orbs. コンボ中にをX回以上 — within a combo, you must connect X lines of a particular element. Stage 12 utilizes this where your combos must include 2 lines of water orbs. In later stages, X may refer to multiple elements. Aside from the passing conditions, each stage also lists the type of elements that will be available in it. This is written as 登場ドロップ. In case you forget or mix up an objective, the gameplay area actually shows it in some capacity. Objective hints are always shown above the timer bar. This one is kind of vague but it’s for stage 12 where you have to make a combo of 2 lines of water orbs. Edit on July 30th: I forgot to mention that moves are finite in P&DW. 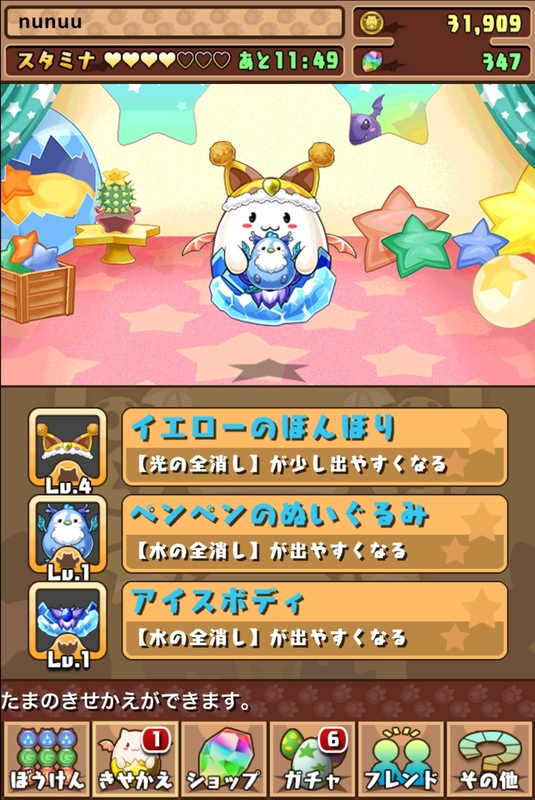 Unlike Puzzle & Dragons where enemies fight back, the devil tamadras are pacifists! They just float around clinging to their eggs. The only way to get game over then is to use up all your turns. The amount of Turns available are indicated by the number next to the heart in the screenshot above. 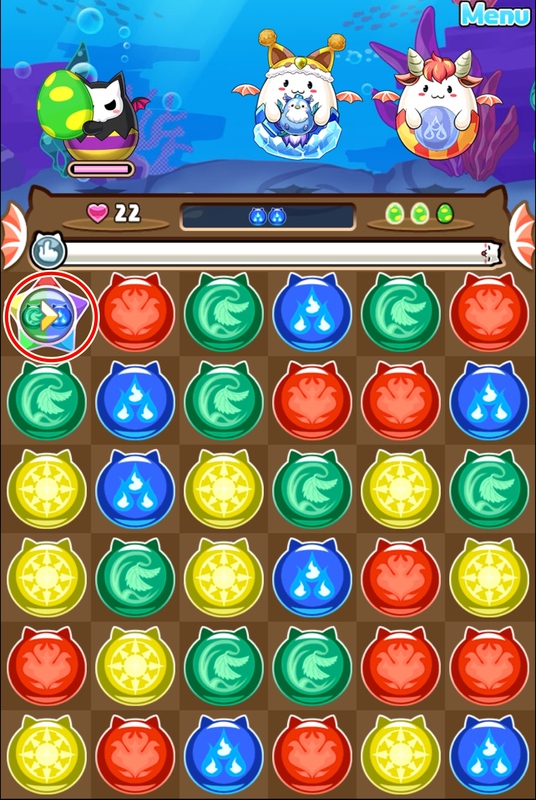 You can replenish/extend them by making combos with heart pieces or if a star piece with a heart in it shows up on the board. This is what the gameplay area looks at the start. The 45 next to the water orb under the chest indicates the number of blue orbs you have to get rid of before the chest will open. The 0/30 shows how many orbs are required for a level up. Speaking about medals, it’s the sole currency that’ll get you new apparel and items for your tamadra~! 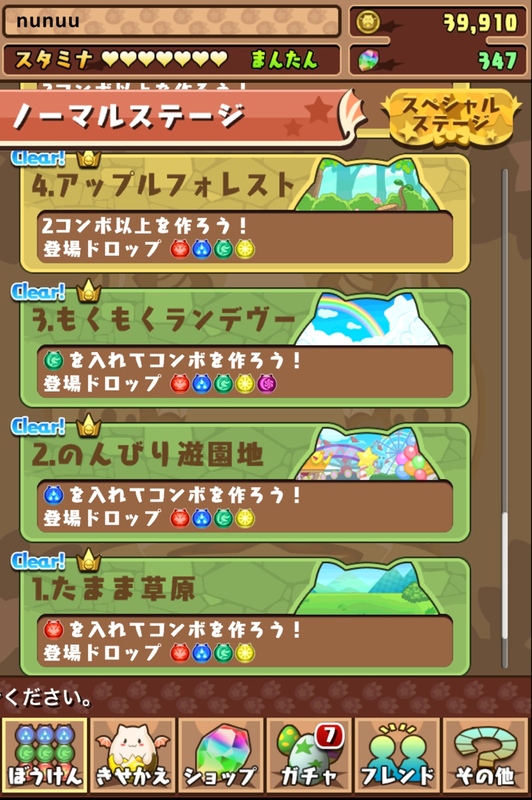 So yes, while P&DW shares the same premium currency (known as Magic Stones/魔法石) as its sister game, they don’t have much use other than to instantly restore stamina and to increase the capacity of your friends’ list. 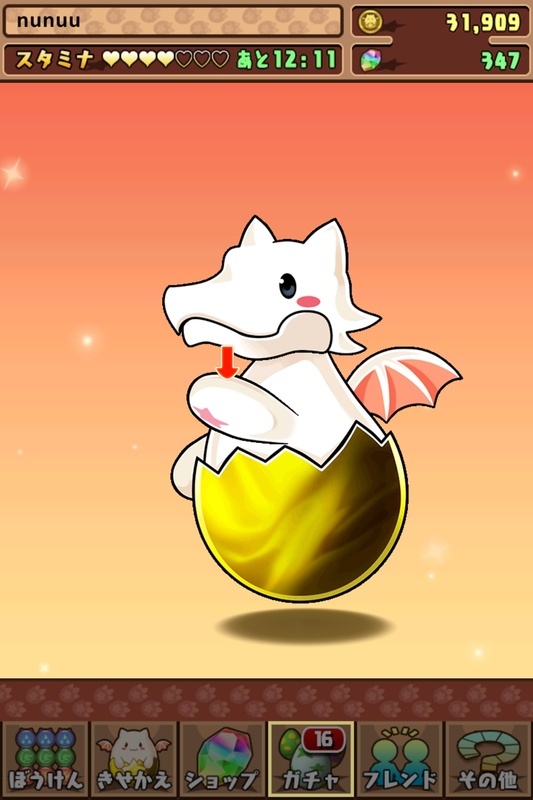 Try your luck in the Gacha menu for new headwear, items, and shells for your cute egg dragon~! The 50,000 medals might seem like a lot but it’s relatively easy to get simply by playing through stages; especially the special stage, Tama Vegas! I gots me a brand spankin’ new Ice Sword! Its ability is listed below the name. In this case, it reads that from time to time, an orb that’ll give you the ability to change wood orbs to water orbs will appear. When you get your snazzy new piece of clothing or anything else that pops out of a gacha egg, you’ll probably want to put it on your tamadra. Dressing up the little critter can be done from the “change room” (not a literal translation of きやかえ). The top option will be where all the hats are, the middle one is for stuffed toys, weapons, or anything the tamadra can hold in its hands, and the bottom lets you change its shell. When you’re browsing through your inventory, the name and ability description will be shown as scrolling text above the sub menu. I’ll list another set of keywords that’ll give you an idea of the skills below. So many hats! ^o^~ Every wearable item can level up if you get a duplicate of it through regular play or a gacha draw. Here are the keywords for clothing and item abilities! (Again, the X is a variable.) I believe all of these appear in the form of a multi-colour star-shaped piece with a center image that indicates its skill. X →X or X→回復 — changes orbs of a certain element into another one OR changes orbs of a certain element to recovery orbs/hearts. Xマス消し –clears out X-number of orbs around the location of the ability orb itself. Xターン回復 — recover X amount of turns. X秒止め — pause the play area for X seconds. When this happens, you can move around ANY orb you touch until the clock runs out of time. Xの+ドロップ — + orbs will appear. These give attack bonuses when you include them in a combo. ドロップの操作時間 — time is extended for moving the piece around the board. Some of these skills may show up as X とX which means X-element and X-element. You may also see “ランドム” in the description. It means “random”. Other important words after each ability are as follows. These indicate the frequency of how often corresponding abilities appear. Previous PostI like writing storiesNext PostList of Favourite Final Fantasy Tunes. Just because.